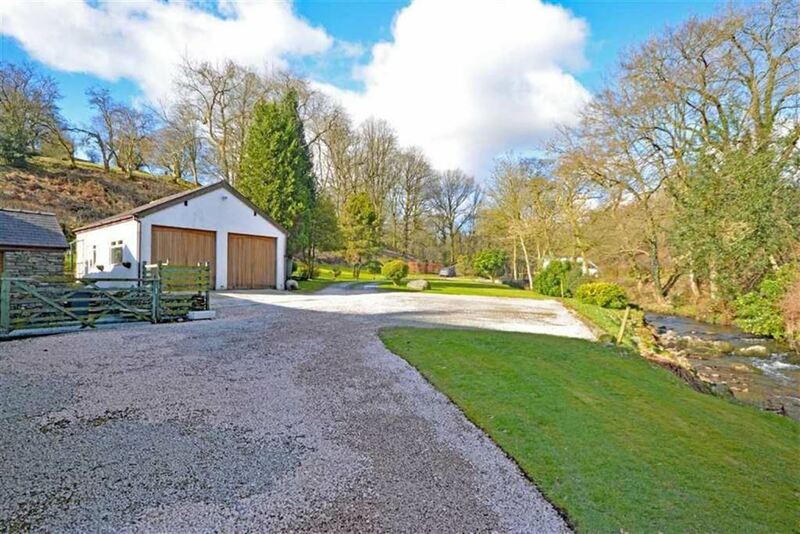 Brook Hollow is a unique opportunity to purchase *TWO* properties set within 3Acres of Beautiful gardens both with a garage and workshop. 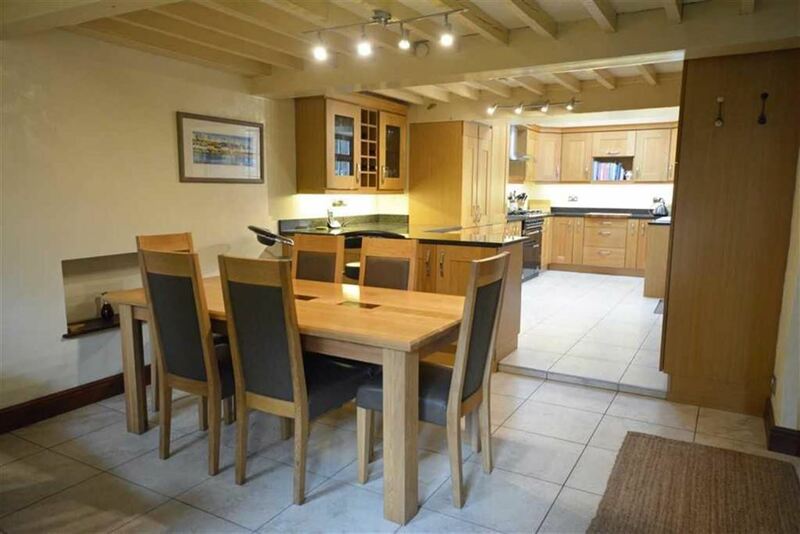 Having been in the same family for over forty years these fabulous semi detached houses are a rare opportunity. 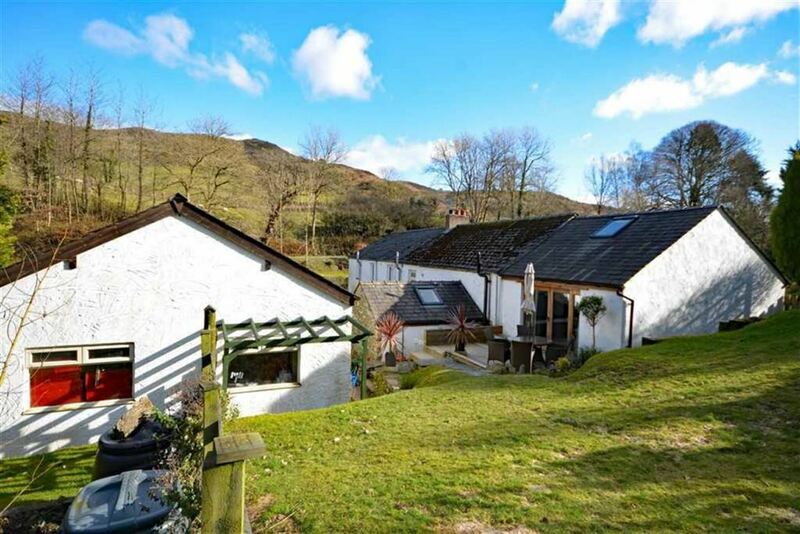 They are both lovely family homes but equally subject to relevant planning could have multiple uses from one large dwelling, to a home and holiday lets as was previously run as a static caravan park for many years until retirement. 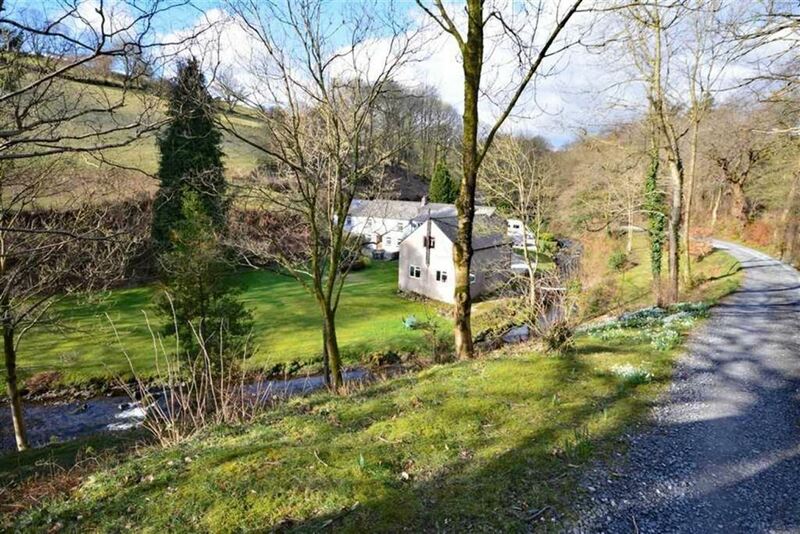 The properties are accessed down a driveway passing over your very own bridge crossing the beck running through 3 acres of garden which surrounds the properties. 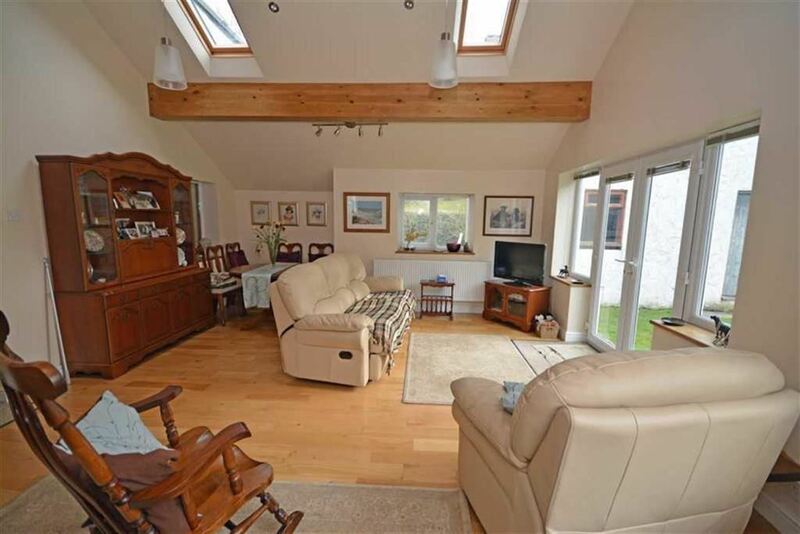 They are both lovely family homes but equally subject to relevant planning could have multiple uses from one large dwelling, to a home and holiday lets as was previously run as a static caravan park for many years until retirement. The stained timber front door has double glazed panes and an iron handle and affords access from the front of the house directly into the dining room. There is an appealing black cast Hunter Herald multi-fuel stove set to the chimney breast with limestone and slate surround with stone hearth and timber ledge. Overall of Inglenook style. Two panel radiators and thermostats, four double brushed stainless power points, TV aerial with satellite feed and three wall lights with dimmer switch. The decor is cream with painted beams to the ceiling and there are lower seats to each of the three double glazed painted windows, facing the lovely gardens. Access to the open stairs and the dining room. Another super room and excellent presentation with larger and ceramic shaded floor tiles with electric underfloor heating and decor of cream with beams to the ceiling. There is also ample space for a dining suite and doors to the front. Double radiator and thermostat, two double brushed steel power points and smoke alarm. 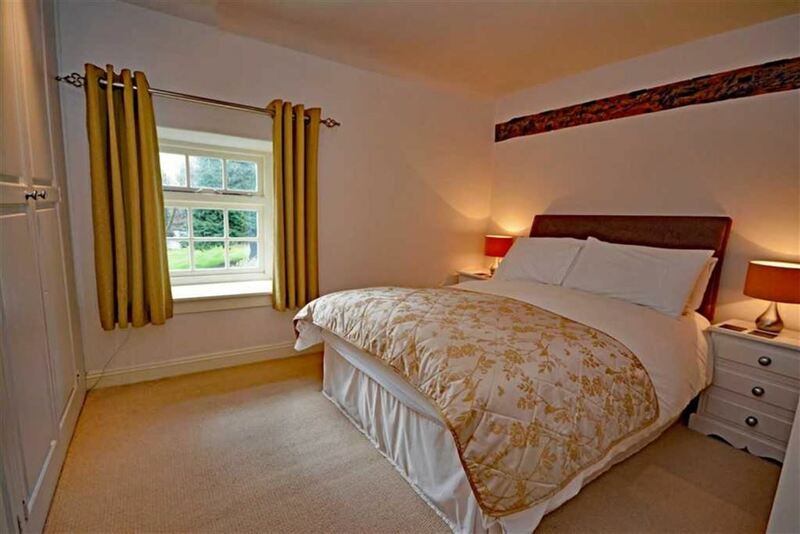 Panel double glazed windows with opening pane and stunning views along the garden. The kitchen has been fitted with a good range of modern attractive shaker style oak shade units with brushed steel handles, grey/black granite work surfaces, inset butchers block and modern granite splashbacks. There is a white pot Butler sink unit with brushed steel mixer tap and inset drainer, a glazed and circular cooker with Whirlpool built in microwave. Integrated stoves and wine cooler. Fitted fridge freezer and Belling full size dishwasher. 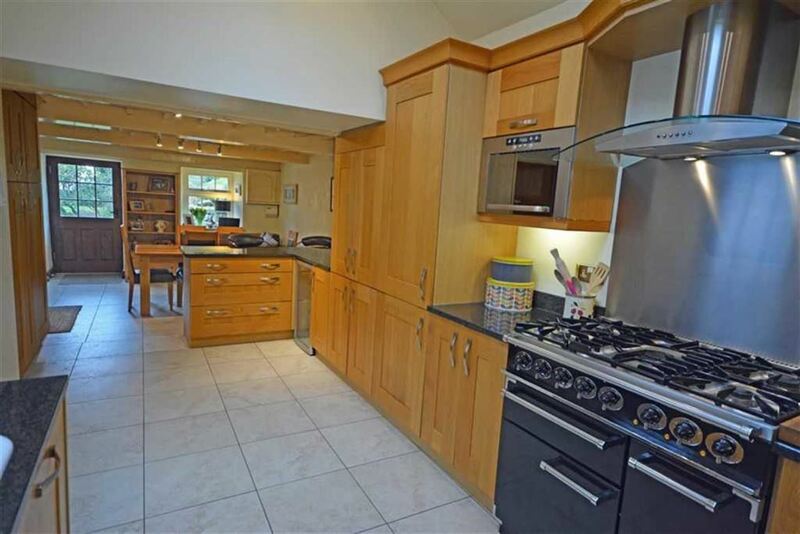 Fallon dual fuel range cooker with five gas rings, a grill and twin ovens. Ample brushed steel power points, telephone point, LED lighting and a vaulted ceiling with the remote/electric twin Velux's. Integral breakfast bar and continuing ceramic tiled flooring with underfloor heating. There is a timber double glazed door leading to the gravelled approach and double glazed Velux windows. The lovely traditional open staircase leads from the primary lounge to the first floor landing. The landing comprises of a double glazed window, a built in cupboard with the gas Vaillant boiler, one double power point, smoke alarm and carbon monoxide detector. There is access to the insulated loft with a power point. Painted timber doors with black latch handles leading to the rooms. 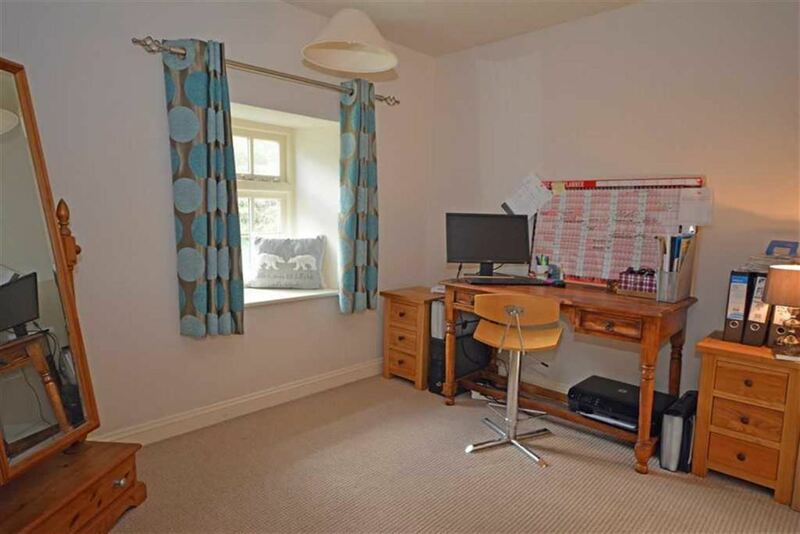 This room is a valuable extension to the property with gentle vaulted ceiling and three pine beams. 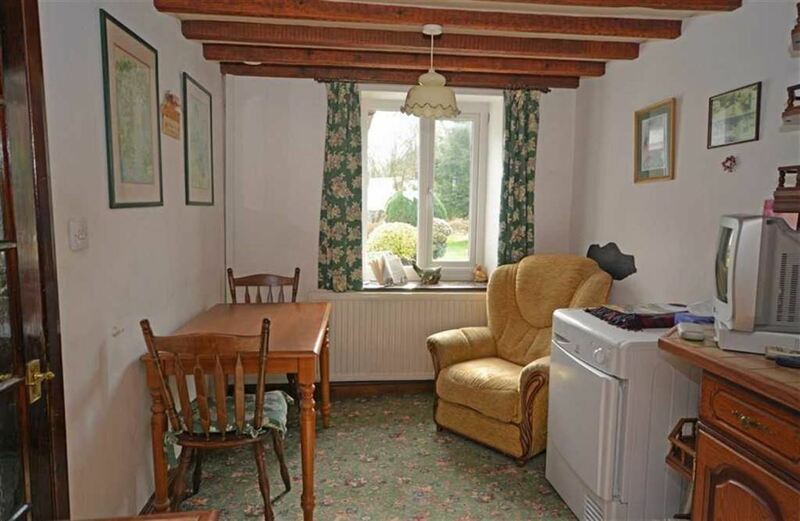 The decor is a tasteful shade of Elephant's Breath by Farrow and Ball. Vertical column radiator in black gloss and thermostat, six double power points, one single power point, telephone point and TV aerial with satellite feed. Double glazed window to the front and a twin double glazed Solar Velux windows with blinds. There are lovely outlooks to the front and a decked patio accessed through double glazed French doors. This is a modern and superior four piece fitted suite in white with chrome fitments and slate effect recess panelling. 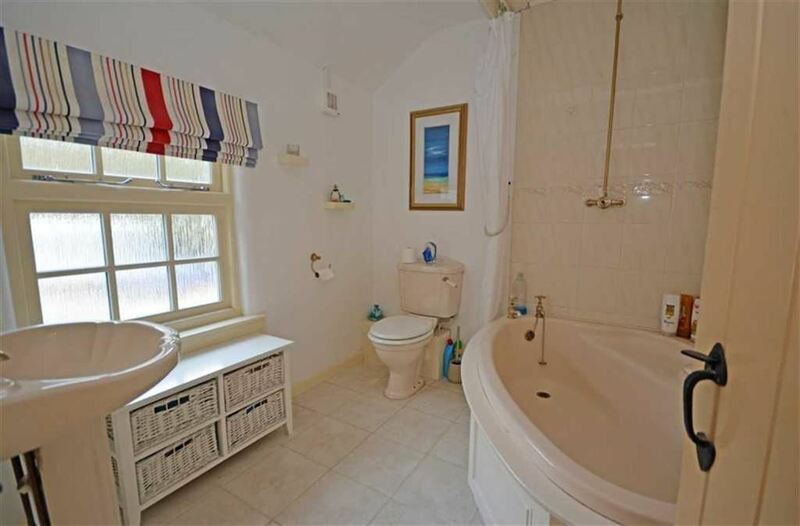 There is a low level twin end bath with offset free stand mixer tap, both flexi spray and fixed 'swan' head. Laufen low level dual flush WC with a Laufen wall hung wash basin with mixer tap. Glazed shower cubicle with thermostatic bar shower with flexi track spray and rainfall head. Black wall 'organ' radiator and bamboo flooring, to set the quality and style. Double glazed pane window facing the front and looking along the garden, the Valley, the beck and gardens. Panel radiator and thermostat, two double power points, telephone point and smoke alarm. There is also a light dimmer switch for the halogen lights and built in, practical wardrobes for storage. Another well presented room with Farrow and Fall decor, a panel radiator and thermostat, two double brushed steel power points and a telephone point. Double glazed panel windows with an opening pane, again, enjoying superb outlooks. This is a modern three piece suite in a shade of Permagon and brass fitments. 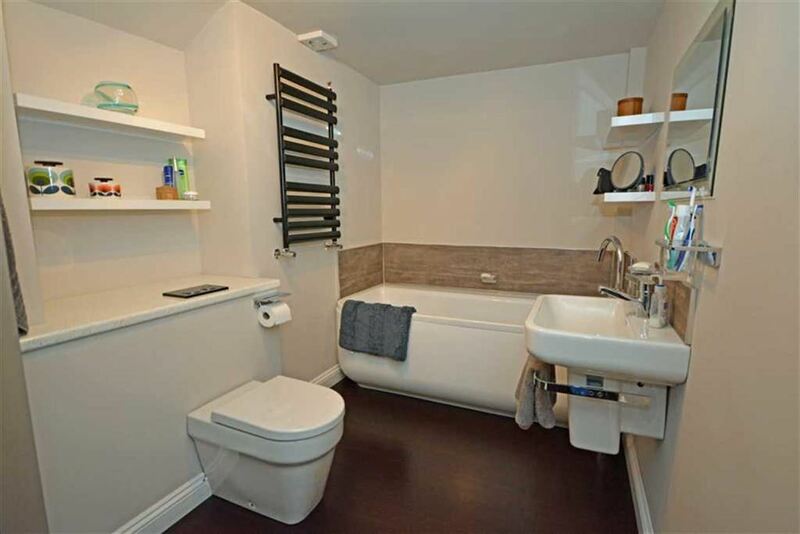 There is a low level corner bath with taps and an over bath thermostatic shower with fixed spray head and rail, and a low level WC with shell pattern wash basin with pedestal. Ladder/tubular vertical towel radiator and ceramic tiled flooring with underfloor heating. Opaque double glazed window to the rear. This is a detached block double garage with a twin opening electric door, a side external wooden door, four windows, florescent lighting and electric power. This garage also benefits from mezzanine loft space and fitted boarding. The twin UPVC frame, fully double glazed French doors afford good access from the front of the property into the sun lounge. 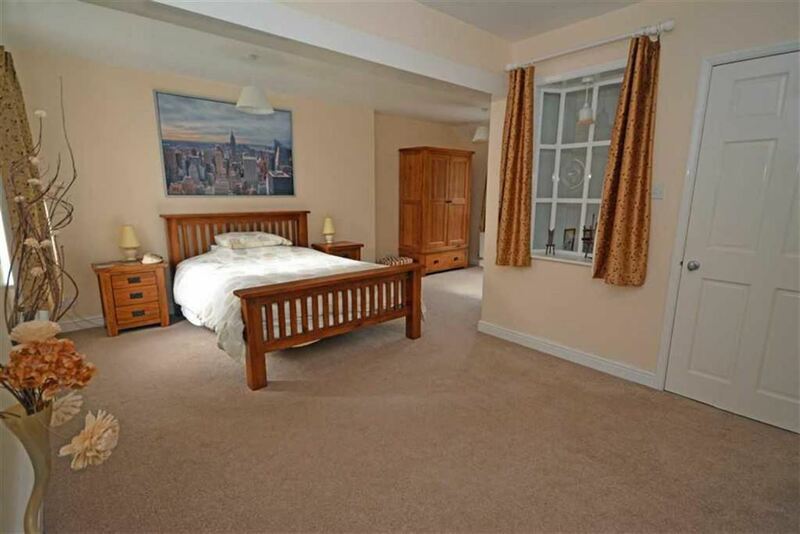 A super room with views to the garden. There is a fitted wall light, two panel radiators and thermostats, seven double power points and a TV aerial with satellite feed. Six halogen ceiling lights, two tracks with lights, two pendent ceiling lights and quality oak flooring. Five UPVC double glazed windows facing the front and the side, also with two double glazed Velux windows for natural light. 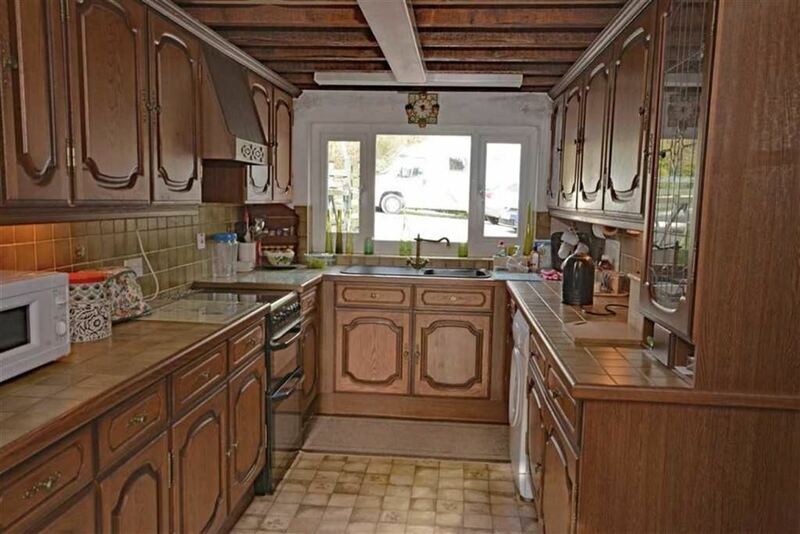 With beamed ceiling and doors to the kitchen, second reception room and utility room. 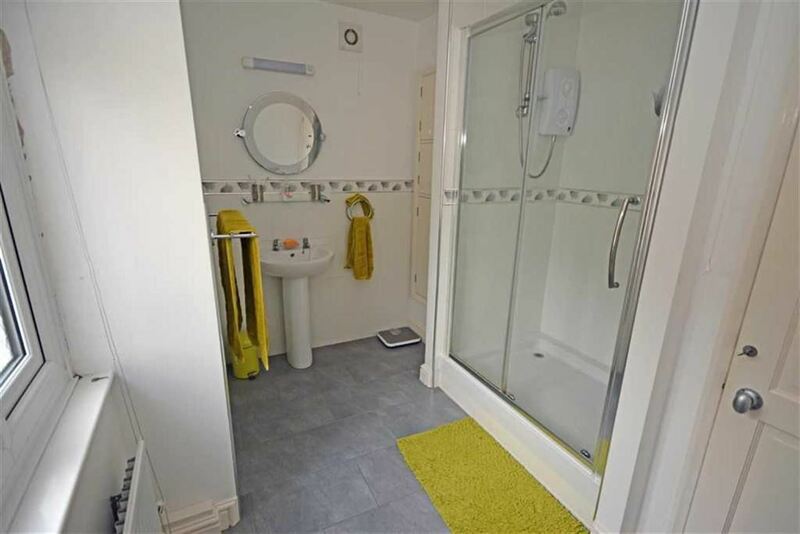 There is one double power point and an under-stairs cupboard with telephone point and a walk-in store/cloak room with a radiator and electric light. External door to the rear. 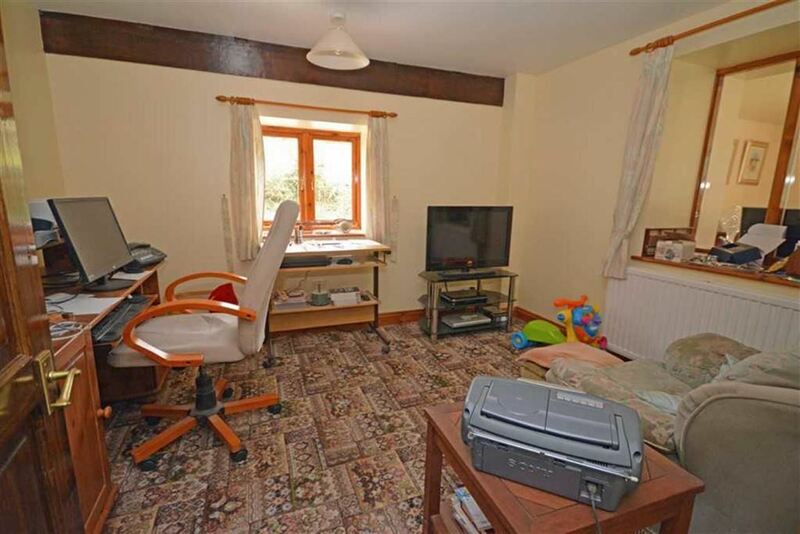 This room has the potential to be a third bedroom, if required. It has a double radiator and thermostat, four double power points, a telephone point, a TV aerial with satellite feed and light dimmer switch. External double glazed window and internal window. Twin aspect UPVC double glazed window facing the front and rear. The kitchen has been fitted with a good range of modern dark oak shaded flat front units with brass style handles, pelmet lighting and tiled work surfaces, also to the splashback. Cooker extractor and a fitted AEG Santa fridge and freezer. There is also recess and a point for an electric cooker. Double radiator and thermostat, power points, TV aerial and satellite feed and beams to the ceiling. Good space for a dining suite. 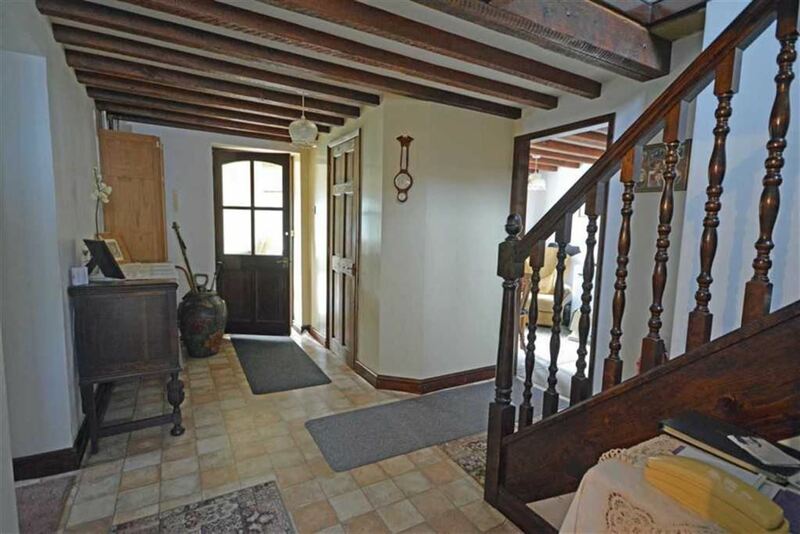 The traditional spindled staircase leads from the central hall to the first floor landing. With banister and spindles and a UPVC double glazed window. Single radiator and thermostat, one double power point, telephone point and a smoke alarm. Separate doors to two of the bedrooms and the shower room. 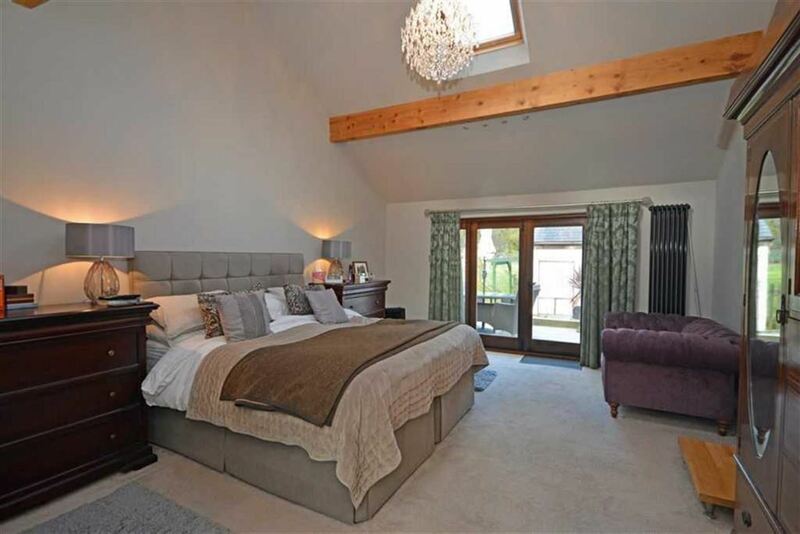 UPVC double glazed windows with opening panes to the front and rear with stunning views. There is a good range of built in wardrobes/cupboards with three twin doors. 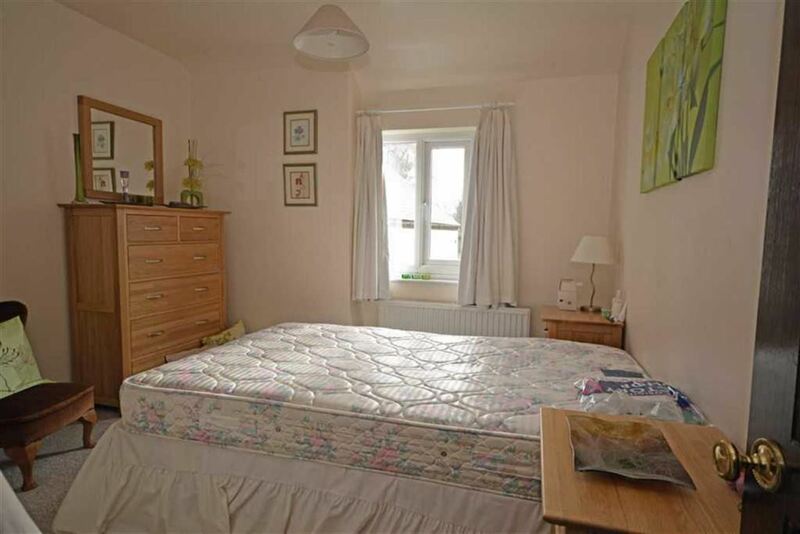 Two double radiators and thermostats, five double power points, one concealed power point and three ceiling lights. 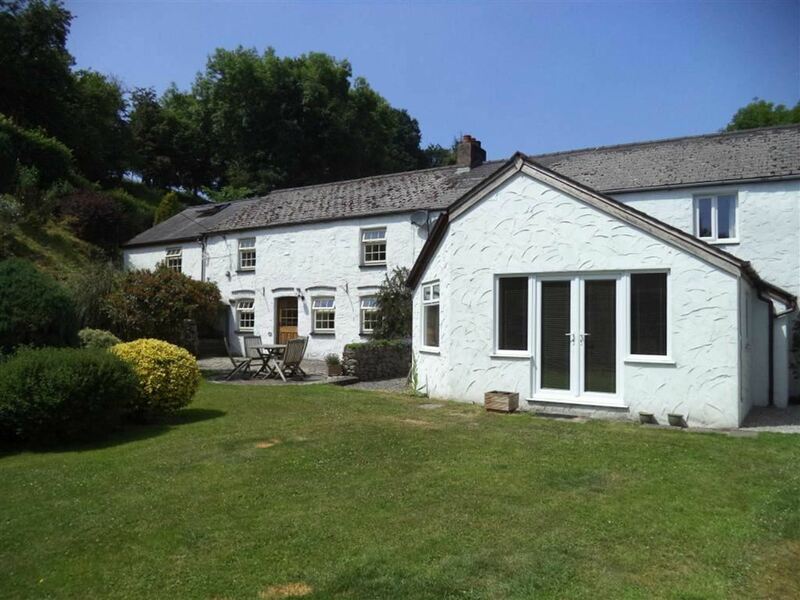 UPVC double glazed window facing the front aspect with the beautiful garden and the Newland Beck. Double radiator and thermostat, two double power points and ceiling height of 2.40m. Decor of cream. UPVC double glazed window facing the rear aspect. This is a modern three piece suite in white with chrome fitments and matte white recess tiling with border. Low level dual flush WC with wash basin, pedestal and taps. There is also a shower cubicle with electric shower with flexi track spray, a glazed pane and door. Single radiator and thermostat, extractor fan, vanity light and shaver point. Ceramic floor tiling. This is a detached cavity block garage/workshop with an up over roller door. There is an internal partition wall, a side external door, seven windows, electric light and power. 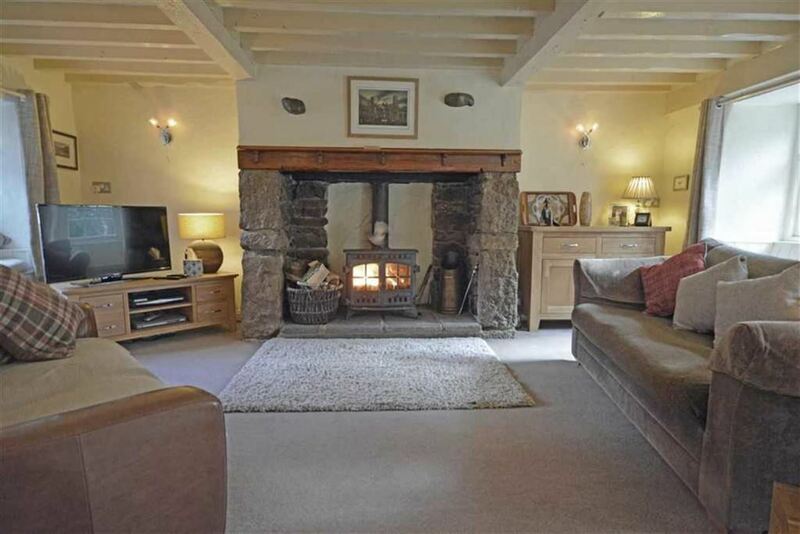 Tiger wood burner stove and a loft space with boarding. 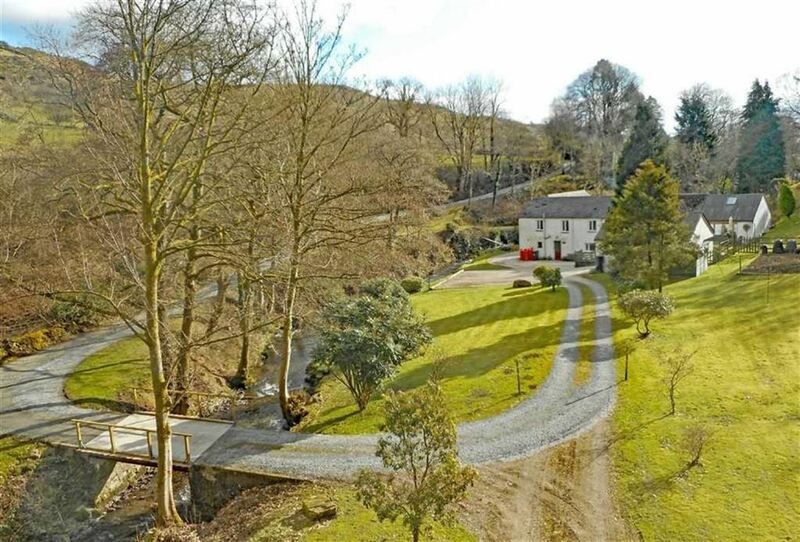 This is a unique purchase opportunity for two (semi detached) houses each with double garage and set within a fabulous location. 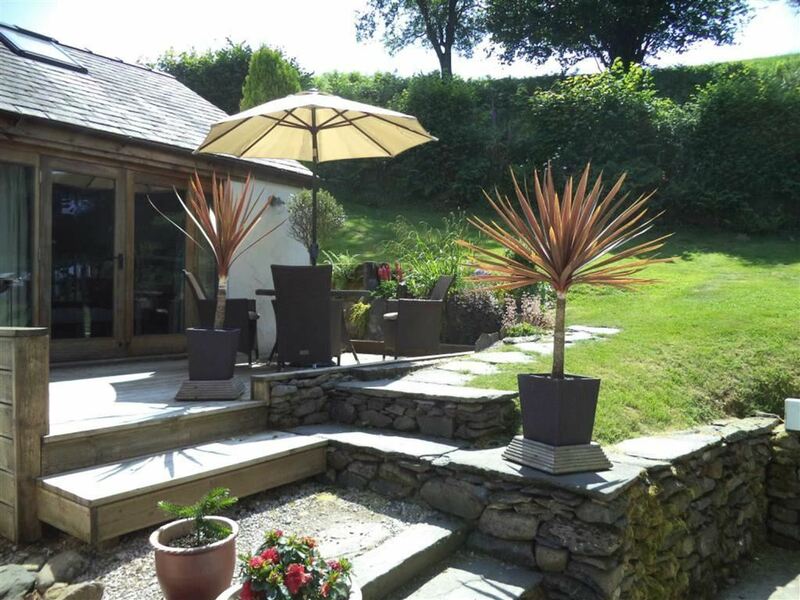 Set in the Newland Valley and approximately three acres of garden, with mature embankments, lawns, numerous trees and natural flowers. 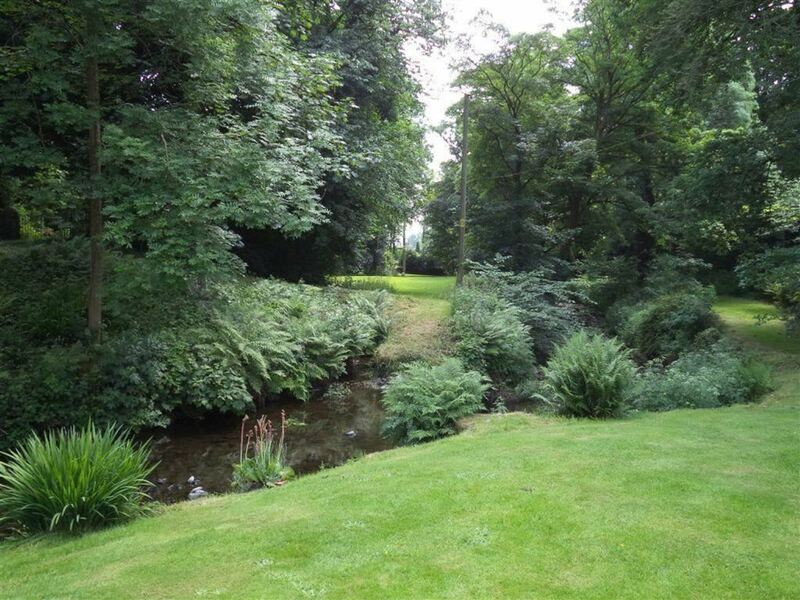 There is a beck that runs through the garden and land, creating a delightful, peaceful feature and with the private bridge across. 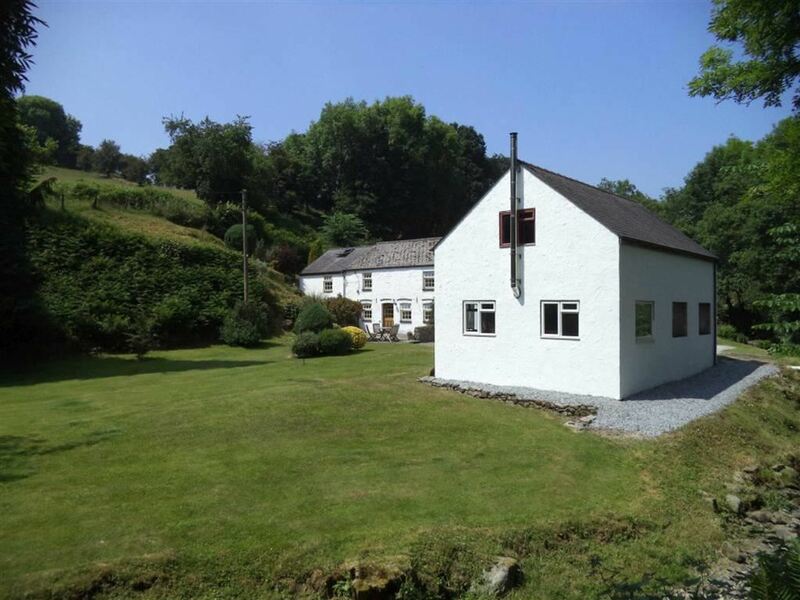 The location, being only 1.2 miles from the town is ideal, rural and private but highly convenient for all local amenities.